Mivv silencers have been designed for a recreational use of the motorbike. We offer many designs, all of which can replace the original exhausts with a few simple and quick assembly steps. 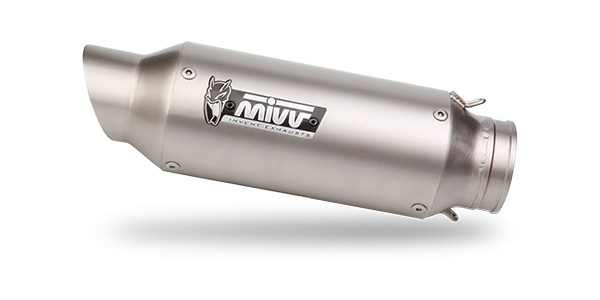 Mivv silencers provide a power increase, a weight reduction and the unmistakable Mivv sound. Silencers are offered with a choice of steel, carbon or titanium body, and where applicable with carbon end caps. A perfect mix for changing the look of your bike and drive away with passion. Mivv M2 exhaust comes from the experience acquired by Mivv in the Moto2 World Championship. Made in stainless steel, its main features are a really small weight and size, giving the bike a very aggressive look. M2 exhaust has brushed or satin finish as well as a removable dB-killer.